Territories of Belongings was performed in Tou Scene Art Centre, Stavanger, Norway, in November 2006. Members of the audience were given envelopes with Norwegian words written on them – café, library, market, shop, village square – and were asked to shred those envelopes to the sound of the naming of lost Palestinian villages. The interaction Returning took place during the memorial service performance. 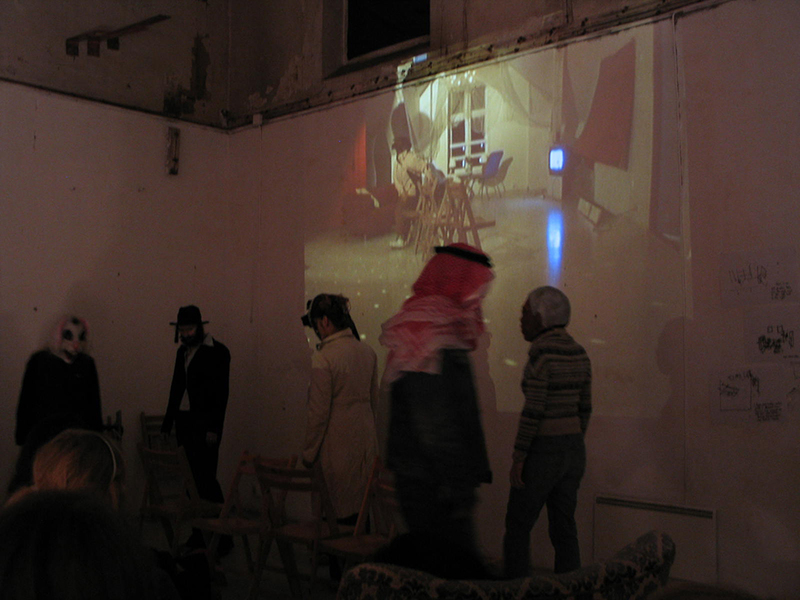 At the end of the first part, a chair game was performed with audience members volunteering to wear different costumes; Arab kafia, an Orthodox Jewish hat and facial hair, a rabbit mask, a black man mask and an alien mask. A video with Ashery as all of the characters playing the chair game on her own was projected in the background.